Police in Dak Nong Province in the Central Highlands region of Vietnam said on Monday a local facility dyeing ground coffee beans in a chemical taken from batteries had not been selling their products as coffee. A facility in Dak Nong made headlines last Tuesday after police discovered that it had been using dirty and harmful materials in production. The facility owner, Nguyen Thi Thanh Loan, admitted to having bought rejected coffee beans and the pulp of coffee cherries at a cheap price, grinding and mixing them with ingredients such as dirt and rock dust, before using a ‘black powder’ found inside D batteries to dye the mixture to produce finished products. The ‘battery material’ is actually manganese dioxide, a highly oxidant compound that can cause serious poisoning in humans and damage organs with consumption of as little as 0.5 milligrams of the chemical. Initial reports suggested products from the facility had been sold as coffee, allegedly to street-side coffee shops in the southern province of Binh Phuoc, but police announced on Monday that it was not the case. 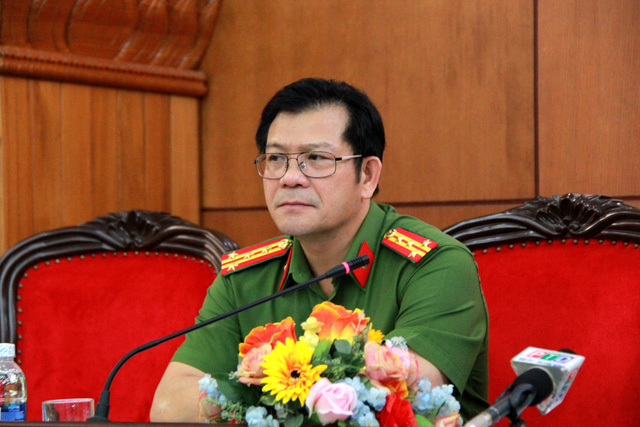 Le Vinh Quy, deputy police chief of Dak Nong, said Loan had confessed to selling the dirty products as human food, but not as coffee. “Questioning and investigation are ongoing to determine which kind of food the products have been sold as,” Quy said, pledging to keep the public posted on any further findings. Dak Nong police officers on Monday also launched legal proceedings and detained six suspects, including Loan, on suspicion of violating food safety laws. Police had earlier been scrambling for grounds on which to charge the violators. With Loan’s latest confession that her products were sold as food, it is enough to constitute a criminal offense even if the ‘food’ may not be coffee. Among the detainees were Loan’s husband Nguyen Xuan Bao, their employee Ngo Ngoc Son, and three others not identified by name by police officers.